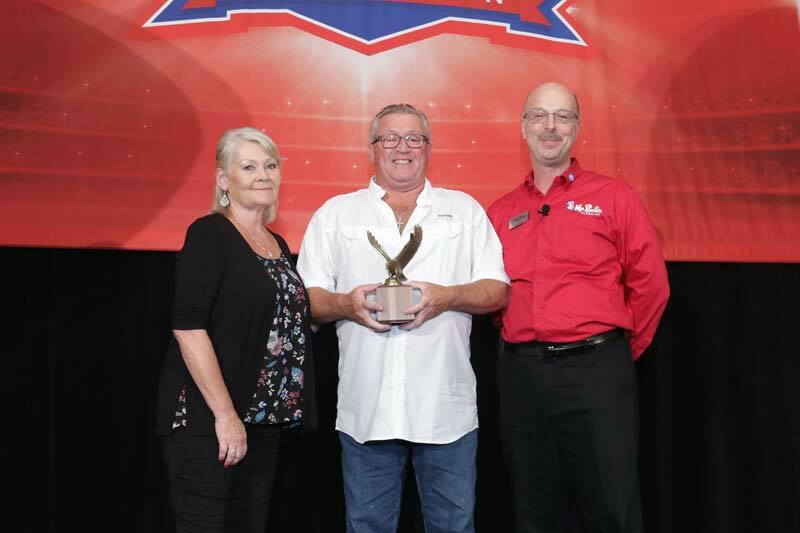 Pamela and Derek Moreland accept the Mr. Rooter Plumbing franchisee of the year award from company president Doyle James. The owners of a Mr. Rooter Plumbing franchise in Toronto recently received the company’s franchisee of the year award. Derek and Pamela Moreland were presented with the honour at an annual conference in Dallas, Tex., for the brand’s parent company, Neighborly. The couple was praised for their outstanding customer service and commitment to employee mentoring. Headquartered in Waco, Tex., Mr. Rooter Plumbing has 26 franchises in Canada and 193 in the U.S.